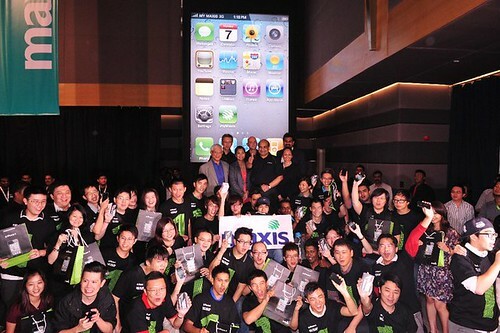 So last week one of the most awaited events of the year for many people took place at Gardens in Midvalley – it was of course the official Maxis iPhone 4 launch! 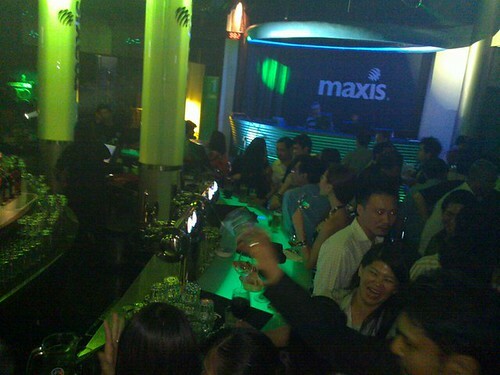 A lot of people were surprised when they received invites for an event at 11pm..but then they realized it was because Maxis was going to start giving out the phone to customers immediately after midnight. I wasn’t sure how the response would be, but trust me when I say it was overwhelming. It was hard to find parking at Mid Valley at 11pm on a Thursday night, can you imagine that? I headed inside, firstly going upstairs to check out the VIP/Corporate area at the club G6 and it was banging in there, awesome party going on. It was a little odd because it somehow felt like New Years Eve with everyone waiting for the countdown to midnight, we weren’t ushering in a new year though – but a new gadget instead! After checking out the party for a while I headed downstairs to check out the queues for people waiting for their iPhone 4. And man the queues were EPIC, it was impossible to capture on camera as there were just so many people. I knew iPhone 4 was a much sought after device but I didn’t know quite how many people were willing to queue up for one! By that point I was pretty interested in the device, I’d been watching the news for it anyway as it’s got to a point where it’s a great communication device and the screen is big enough that touch-screen only isn’t too bad. Shortly after that it was midnight! They started serving the first customers and had a simultaneous press conference on the rooftop garden. 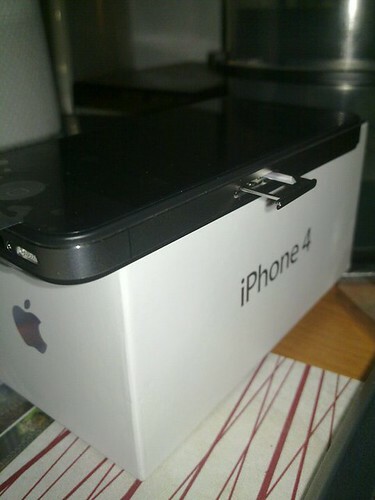 I have to say those lucky fellas that got their hands on the iPhone 4 first were ecstatic! The first batch was 60 people, here’s a shot of all the happy faces. The press conference was interesting and Maxis told us that they had doubled the capacity of their data network to cope with the demands of the influx of iPhone 4 users as it is an extremely data driven device. And well let’s just say I found the device interesting enough to get one for myself 🙂 To be fair I have to see what all the hype is about, some people may think I’m an iPhone detractor but honestly this 4th gen iPhone has me interested. Finally The iPhone 3G Is Official in Malaysia Courtesy of Maxis! Have a WILD Time with Nuffnang – Live Blogging! 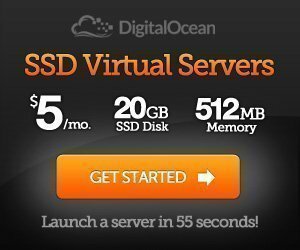 I was invited to go via email…but darn.. i missed the ship and the fuss. I was told some was waiting up to 4am? There was also another separate launching at the Quill.. it was crazy as well. So you guys were the one jamming our Midvalley, haha! Was leaving the office from North Tower and I was stuck in the jam. AnthonyKong: The Quill was DiGi, didn’t go to that one – but pretty sure it was chaos too. Ffom what I know there was people there until 6am.